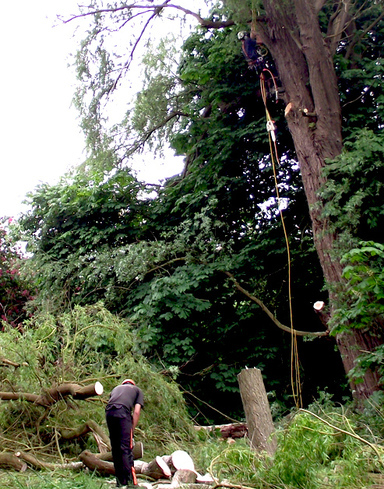 M J Enoch Tree Surgery Limited is an established family run business based in Bradfield, Tendring. We have been trading as a limited company since 2011. The company has rapidly built up a superb reputation for providing efficient and friendly services in Colchester, Manningtree, Harwich, Frinton, Clacton, Ipswich and all the areas in between. Our business has enjoyed significant growth through gaining repeat customers and recommendations to their friends and family. We have included a few testimonials from customers below. Matt and his team continue to provide regular maintenance for the trees and the garden and last summer grass seeded a large bare area which new looks superb. The team have also dealt with our overhanging trees in a neighbour’s garden and we know they were very pleased with the result. 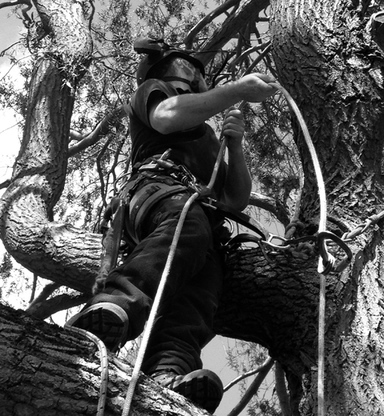 I have already recommended M J Enoch Tree Surgery to my friends on several occasions and they have also used Matt’s services. The guys are always punctual, really tidy, polite and friendly. We ask for a lot of advice and someone is always willing to help find a solution. Sorry I wasn't around yesterday to say thank you to you and your guys for your work over the last two days in cutting our hedge. We are both very pleased with the work and the professional way it was carried out. We were both shocked by how much foliage there was on the first day and realised we had made a big mistake in opting to clear this ourselves.We were extremely grateful that you were able on the second day to help clear it all. Thank you very much. We were very pleased with your service overall and would be looking to ask you to work for us on future garden projects. I am just writing to say how pleased we are with the way your team trimmed our oak tree. It was getting far too big for our garden and taking allthe light from our seating area. My husband and I were worried that our garden shed would need to be moved because it was quite close to thetree, and it was taking too much sunlight away from our neighbours’ garden. It was really great how you were able to reduce the size of the tree and yet maintain such a lovely shape without damaging the shed or the fence,and our garden seems much lighter. We were also very pleased with the efficient way you cleared up, and we are delighted with the work. Your team did a fantastic job. Very quick, very pleasant, very clean and very competitively priced. I have no reservations in recommending you. A really great job and we are very pleased indeed. Thanks for a great job trimming our Leylandii hedge. No fuss all done and cleared away in a morning. See you again next year. 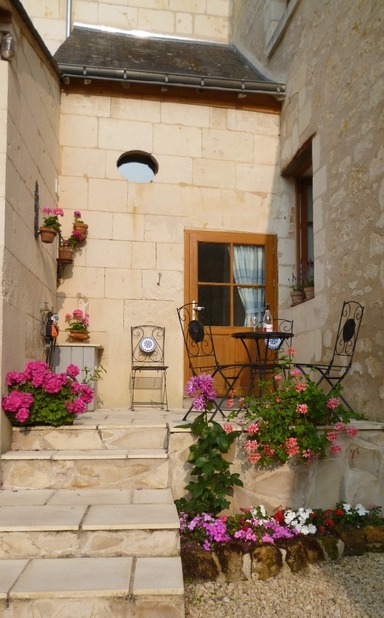 I just had to send you this recent photo of the top patio in our holiday home. It's now 3 years on and we remain absolutely delighted with the work that you and your team did for us and it seems difficullt to remember the mess that the outside space was in before your excellent landscaping. I am just dropping you a note to say how pleased I have been with the garden you did for me in Essex now it has matured a little more. The raised brick built beds have been a picture and have softened with the planting and the fencing gives me a real sense of security. I did not believe so much character could be incorporated so successfully into such a small space, especially being able to incorporate the small lawned area which I wanted so much and the 'French arbor'.